There is a pattern on Ravelry called Fireside sweater – a friend put me on to it before Christmas. After a thorough bit of stashdiving I realised I would have to wait until the New Year before I could get my hands on some yarn. 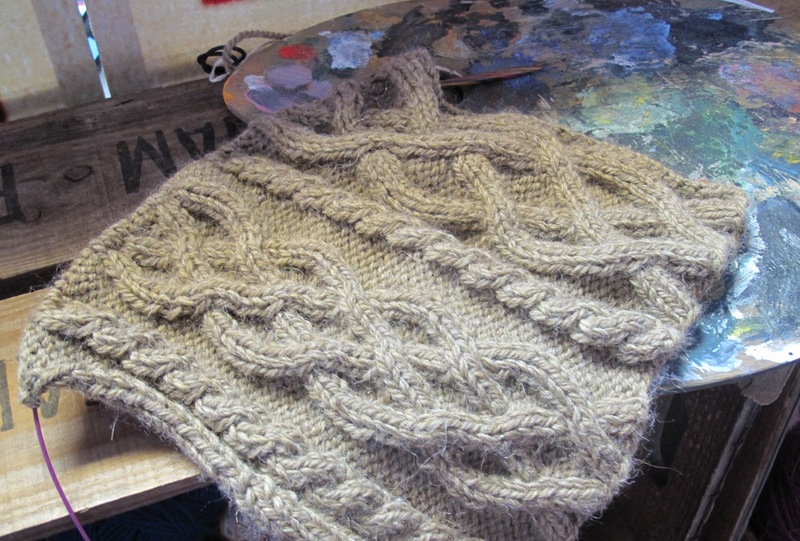 The pattern is a wonderful celebration of cables that run up the front and then meander around the neck. It is so beautifully thought out – where the buttons go, a detail to bring interest to the back neck. It really does need a special yarn. The term aran in handknitting really does cover quite a range of yarns from chainette, to lofty tweed; from flat multi-ply to roving. I decided that I didn’t want to go 100% wool but I did want my choice to be light. Light but not too lofty because to do the cables justice I wanted them to look firm and constructed with good definition. 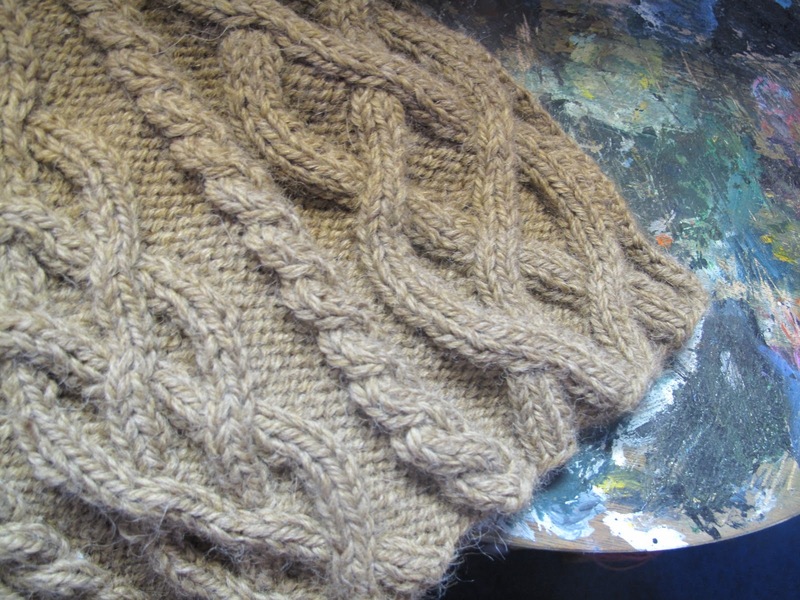 Eventually I settled on Artesano’s Aran which is 50% alpaca and 50% Peruvian highland wool. The yarn comes in 32 colours from naturals to brights and everything in between. Artesano are now producing their yarn on hanks which I really like. You can get a good feel for a yarn while you are winding it off. I had to drop a needle size to achieve the tension given but as a consequence I have a wonderful firm but soft fabric. The yarn is lovely to knit with and seems to glide through my fingers. The only downside is I haven’t got as far as I wanted because I had some other projects to finish off including 2 new patterns taht will be on Ravelry soon. But then I will be knitting like a woman possessed to finish it off. Agree- I made Owlet in this yarn, it picks up the stitch detail beautifully, soft and lovely for the baby too.